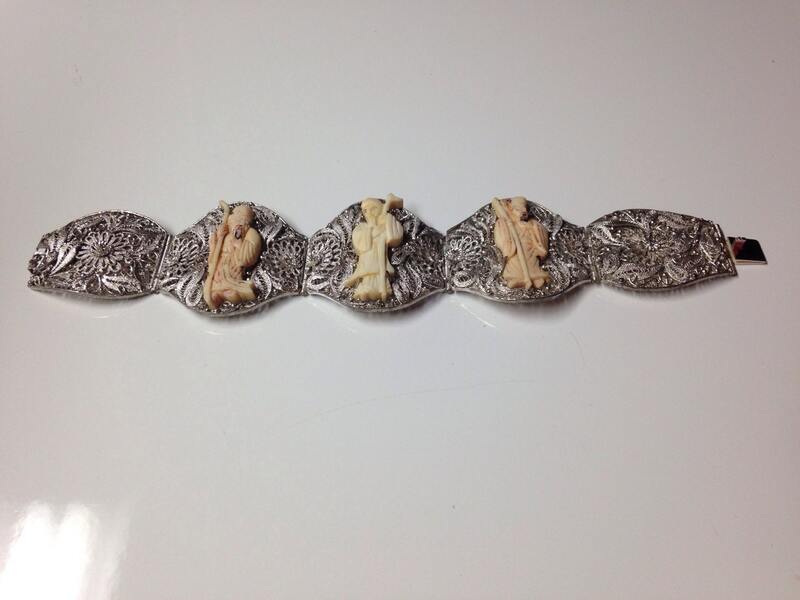 This is a choice silver panel bracelet with an outstanding and unusual design showing a eight figures carved in bone. Bracelet is intact with no noted losses. 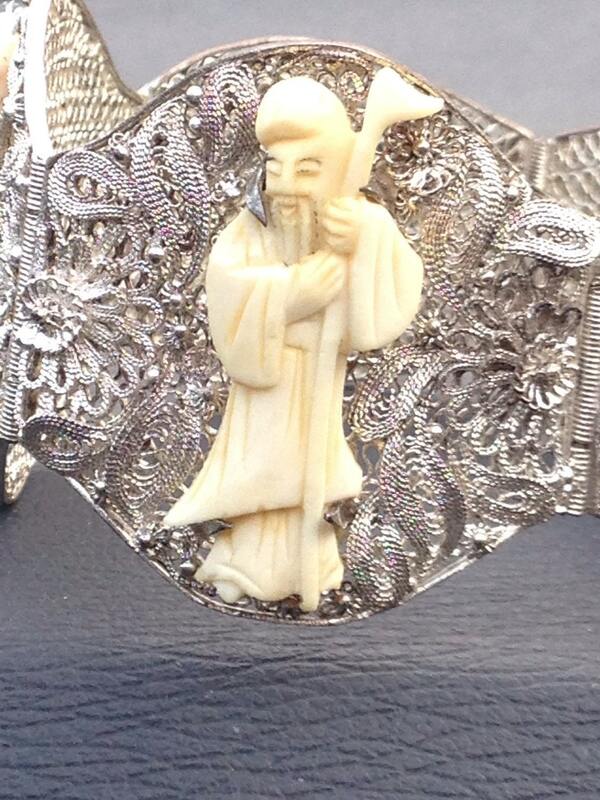 The style of this silver is Southern Chinese filigree work. Unmarked. Pinch clasp works great. The bracelet has a bright finish which shows off all of the design detail and makes the pigment pop. 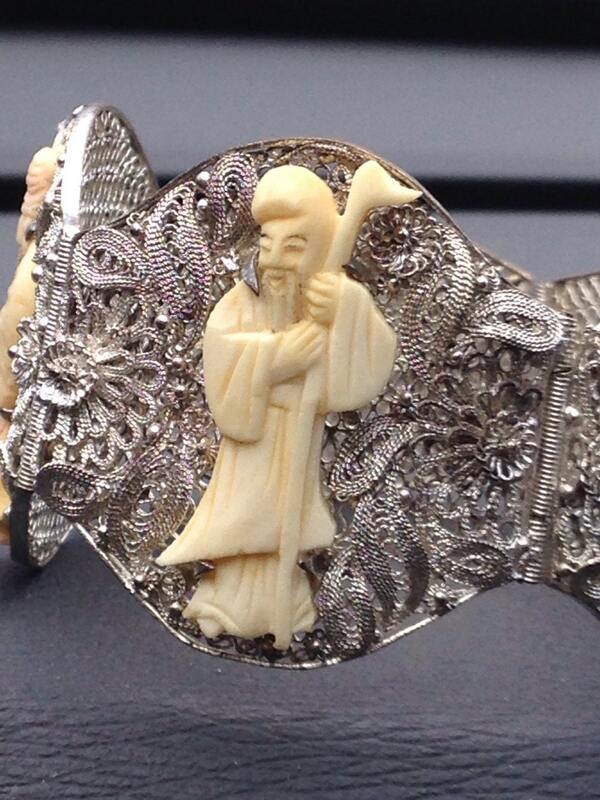 Overall this is a finely made and striking bracelet. This piece weighs about 36.5 grams. 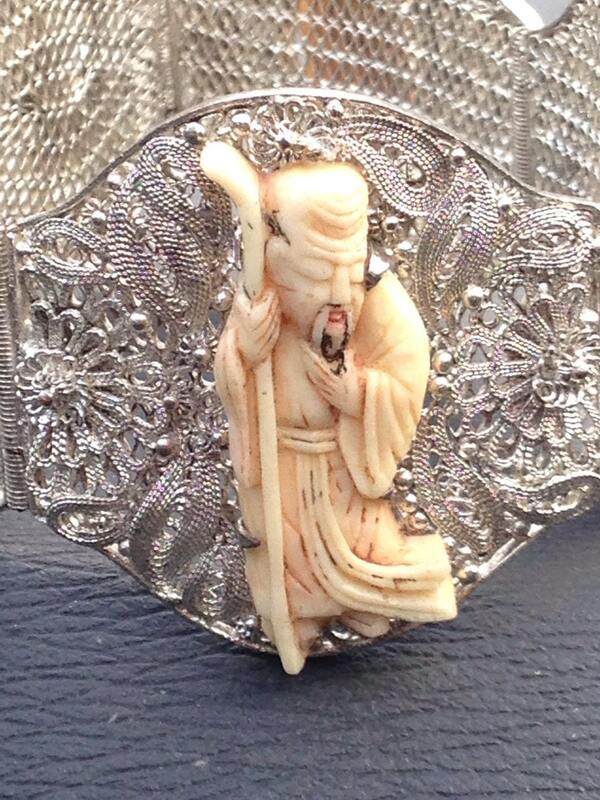 The bracelet has an inner circumference of about 180mm (7"). 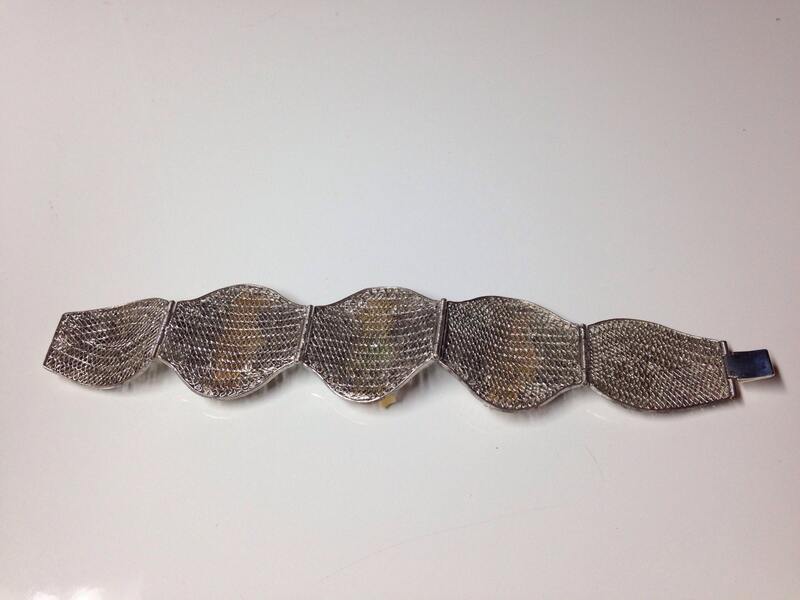 The bracelet is about 38mm (1.5") across. A very fine piece.